The Institute of Precision Health aims to strengthen the BGI Group&apos;s strategic and the sharing of resources and technologies for human disease and health research, to realize the Group&apos;s “three-ring linkage” strategic concept and the big science project of genetic big data and disease prevention and control. It comprises of Maternal and Child Health Research Institute, Cancer Research Institute, Institute of Pathogenomics, and Institute of Metagenomics Research. It is responsible for the science capability building, basic research and technology development in maternal and child health, cancer, infection diseases, complex diseases, symbiotic microorganism areas etc. Maternal and Child Health Research Institute shall explore the origin of human life while revealing the major genetic and developmental deficiencies mechanism, from the basic research to industrial applications, rapid transformation and application of popularization demonstration, leading to promote the formation of industry standards and guidelines to comprehensively enhance our reproductive diseases and birth defects prevention and control of science and technology. The Institute Pathogenomics applies innovative omics techniques to study the underlying mechanisms of infectious diseases associated with viruses, bacteria and parasites, to explore diagnostics and treatments, and achieve major scientific discoveries and major technological breakthroughs. 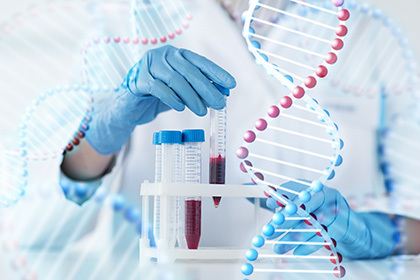 At this stage, we focus on the following aspects: pathogen basis of pathogen toxicity, drug resistance, evolution and immune escape; innovative diagnosis and treatment of infectious diseases based on synthetic biology; interaction between pathogens and host, host microbial; infectious diseases; molecular basis of communication. The Institute of Metagenome Research focuses on the sum of the genetic material of all microorganisms obtained directly from the environment, and is committed to the development of multi-omics technology with metagenomics as the core, exploring the mysteries of human symbiotic microorganisms and disease health, and vigorously developing human symbiosis research on the effects of microorganisms on human health.